On June 9, 2017 Roberta “Bobbie” Metheral passed away peacefully in her sleep at the age of 85. 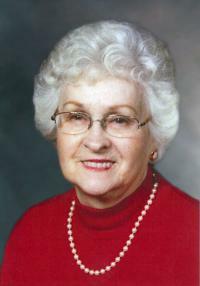 Roberta is lovingly remembered by her husband of 64 years, Jay; daughters, Crystal (Kim) and Kate (Judd); son, Dwight (Brenda); 5 grandchildren, Michelle, Danielle, Dylan, Tyler and Kacie; 6 great-grandchildren, Gabriel, Piper, Eli, Sophia, Ilya and Ireland; and numerous nieces and nephews. Roberta is also survived by her loving sister, Louise Zornes. Roberta was predeceased by her parents, Herbert and Margaret Hill; sisters, Edith and Ethel and brother, Russell. A Memorial Service for Roberta will be held on June 15, 2017 at 1:00 pm at McClure United Church, 13708-74 Street, Edmonton. In lieu of flowers donations may be made to the McClure United Church Memorial Fund or to the UCW.